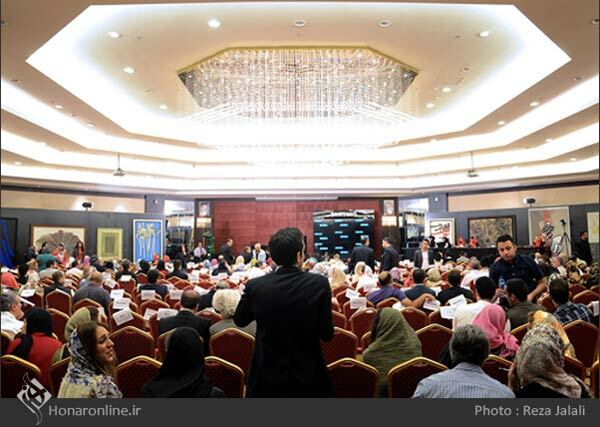 The 3rd Tehran Auction sold out all the 90 lots on offer during its annual sale at the Parsian Azadi Hotel on Friday evening, grossing over 132 billion rials (over $4 million). Sohrab Sepehri's untitled painting from his Tree Trunk series sold for 18 billion rials (about $550,000), setting a new auction record for an Iranian painting, the Tehran Auction reported on Saturday. 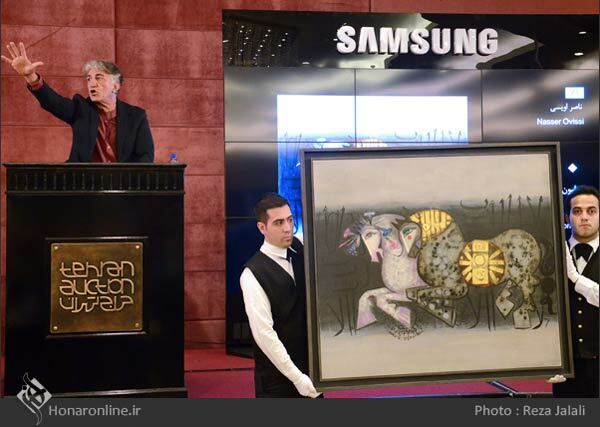 Actor/auctioneer Reza Kianian takes bids for the sale of an untitled painting by Sohrab Sepehri at the 3rd Tehran Auction on May 30, 2014. The work sold for 18 billion rials (about $550,000). Another work by Sepehri, a 90x130 centimeter abstract painting, sold for 16 billion rials (over $485,000), fetching the second highest price at the auction. 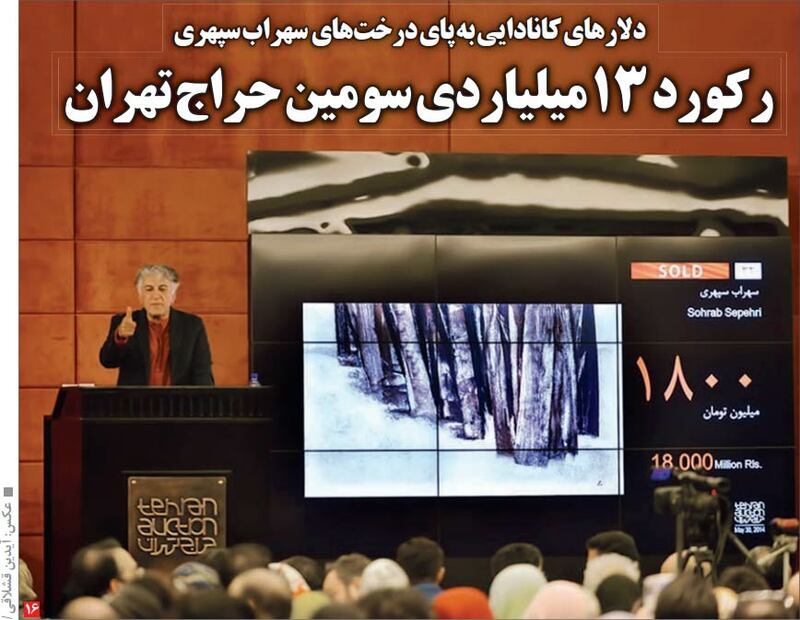 Reza Derakhshani's artwork "Hunting the Blue Sky" sold for 6 billion rials (over $180,000), three times the estimated price, making it the third highest selling lot at this year's auction. Other highlights of the sale included a calligraphy painting by Mohammad Ehsaii and a two-piece painting by Aidin Aghdashlu. A calligraphy painting by Nasrollah Afjeii and paintings by Kurosh Shishegaran, Parviz Kalantari, Farideh Lashaii, and Masud Arabshahi were also sold. 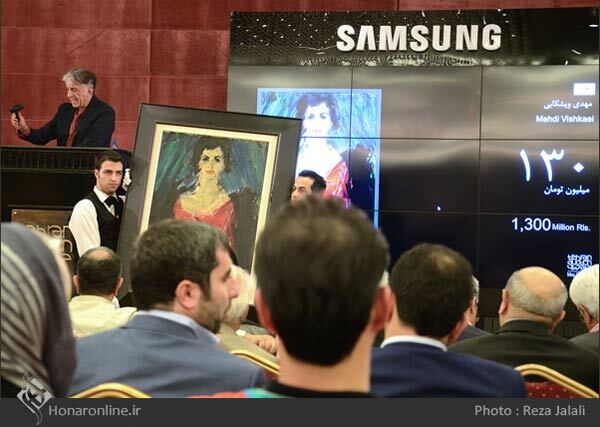 Tehran Auction Director Alireza Sami-Azar, who established the auction house in June 2012 to promote the economy of art in the country, said that the sale was beyond his expectations, which shows Iranians' interest in art, and the creativity of the country's artists. He added that the auction is a group activity supported by the owners of art galleries. 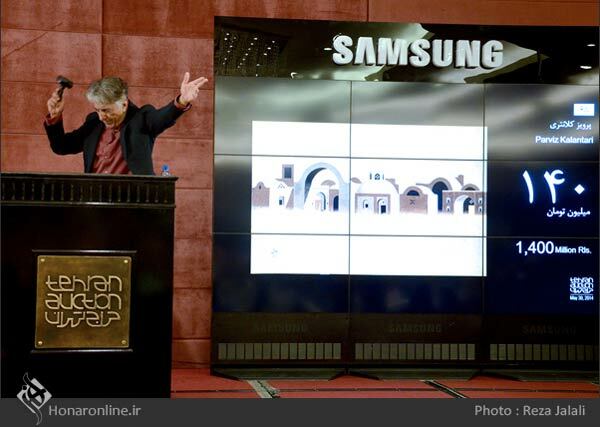 Deputy Culture Minister for Artistic Affairs Ali Moradkhani, Tehran Museum of Contemporary Art Director Majid Mollanoruzi, and a number of other cultural figures attended the event.